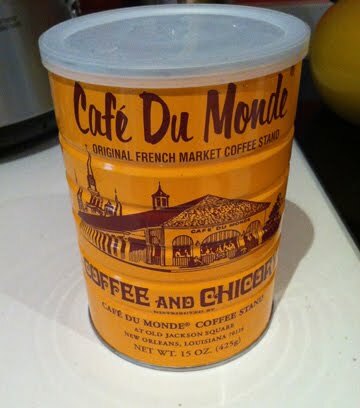 This is the famous Cafe Du Monde coffee that I bought as a gift for the Sasquatch to try during my trip to New Orleans. He's a bit reluctant to try it. And I don't drink coffee. I think it might be sitting on the desk for a long time.